Hand made by the Graef family. Made from the same ½” rope as our lead ropes. Mecates are 22’ with a braided pineapple knot on one end and a leather popper on the other. Scroll down to see video on how to attach to your bridle. This video shows how to attach your mecate reins to your snaffle bit. You’ll also see how you can tie your horse while using this type of gear. 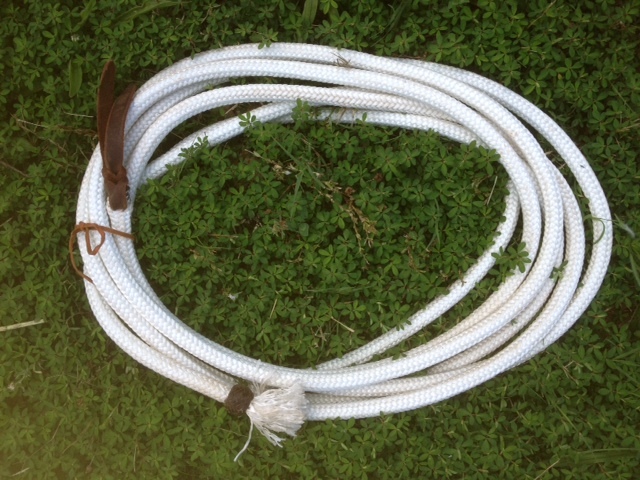 (If you’d like to see how to tie mecate reins onto a bosal, go to “Bosal” page).